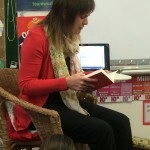 Our student teacher Mrs Meinel started reading a novel with us today. The novel is called Gansta Granny by David Williams. 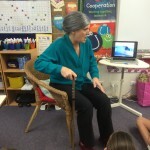 Mrs Meinel talked to us about her Granny and all of the special things they do together. 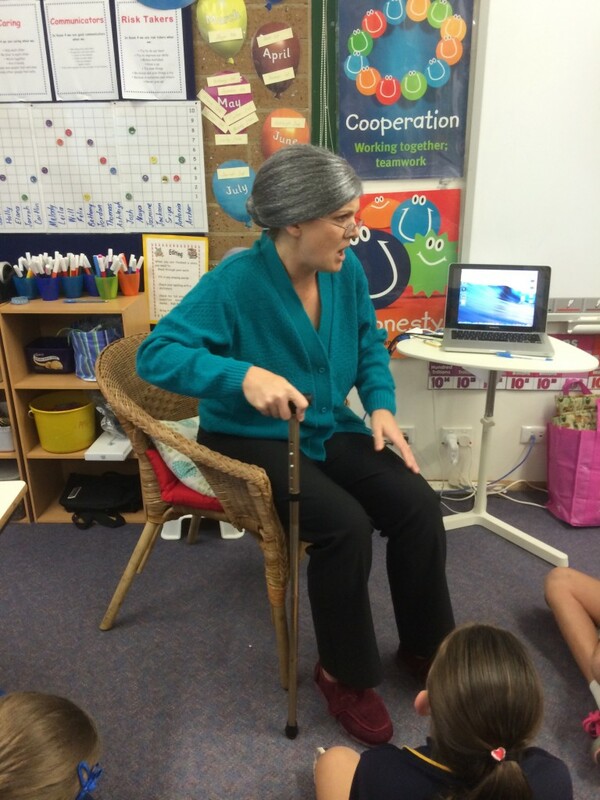 She could remember lots of lovely details about activities and things that remind her of her Granny. 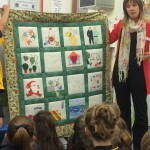 We were shown a quilt that showed lots of her families history through different memory squares on the quilt. 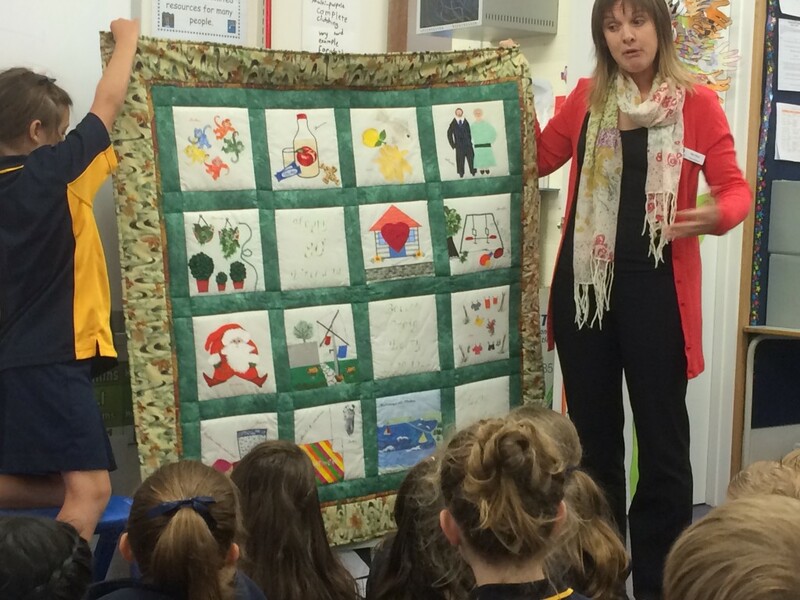 We just loved learning what the quilt meant. 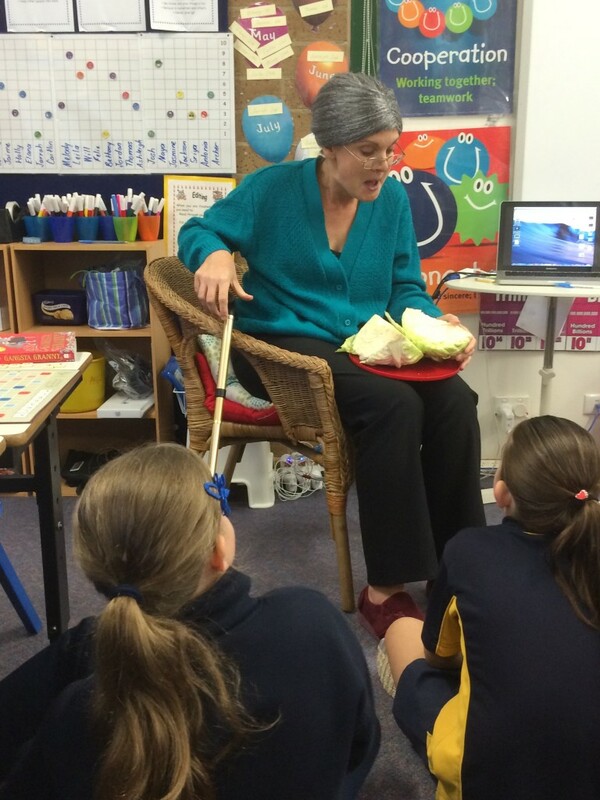 Then we shared our memories of our Nannies, Grans, Pas, Grandpas or Poppies – it was a really interesting conversation. 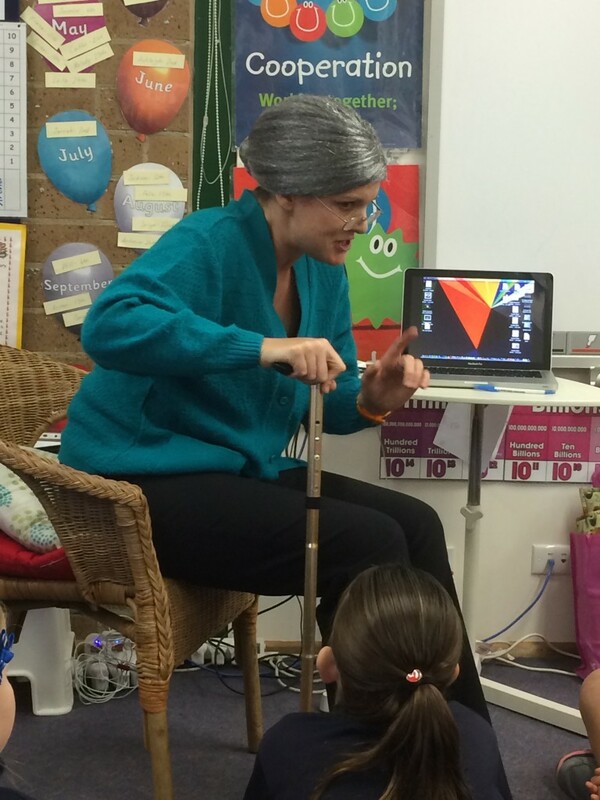 After we talked about our families Mrs Meinel started to read the novel Gansta Granny. She read us the blurb on the back of the book so we got a bit of an idea about the novel. It’s a funny and moving story of old age, adventure, stolen jewels and swimming the Thames. We’ve read a couple of chapters and we really like it so far…. Stay tuned for more novel updates and activities we’re doing that relate to Gansta Granny! 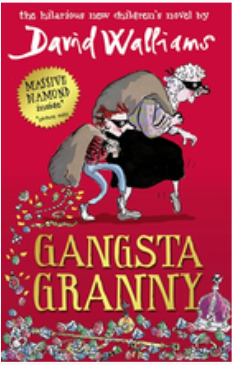 What do you like about the novel Gansta Granny so far? Can you suggest a novel our class would enjoy reading? 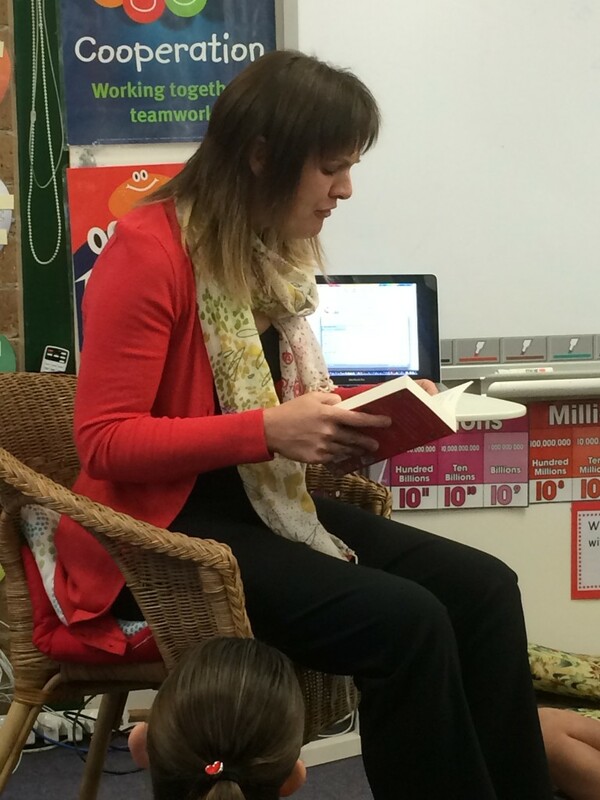 Today we had a special visitor to start our day. 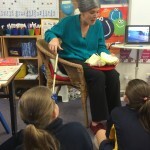 We had a ‘Granny’ pop in to visit us in our class and she talked to us all about the things she loves to do, eat (lots of cabbage!) and games she loves to play, like Scrabble. 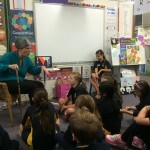 She talked to us about our families and we described the Grannies, Grandpas, Nannies, Pas, Nans and special elderly people in our lives. It was a wonderful surprise to have such a lovely visitor. This week we started our second term for the school year. We’ve got an amazing term ahead – so busy with lots of wonderful learning opportunities, like our Narnu Camp, the Farm Moobile visiting with Farmer Damien, an author visit by Jackie French, Bike ed, CSIRO Lab on Legs and the list goes on. That’s just the ‘special’ activities – we’ll be doing lots of fun learning in our room too! 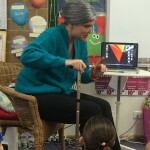 We’ve got Nikki working with us as a student teacher and we’re sure her prac in our class will be a huge success – we love working with her already! 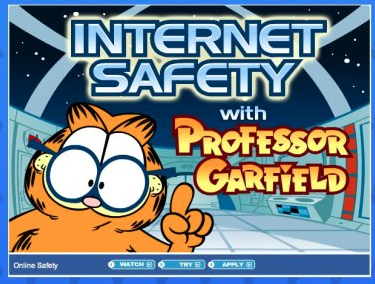 Stay tuned on this blog for updates during the term! 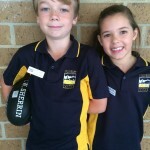 Today Jaime and Jackson received their SRC badges so they are ‘officially’ the SRC reps for our class. 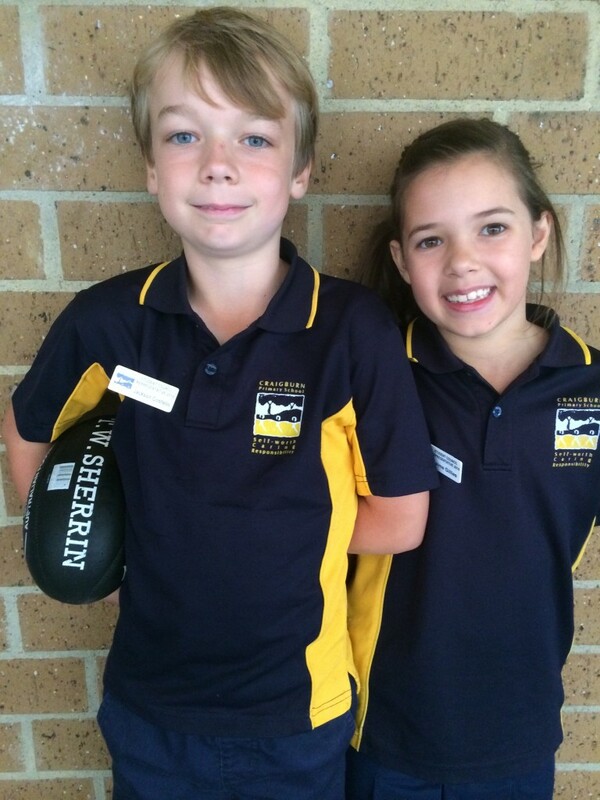 Jaime and Jackson have already been wonderful School Representative Council reps – helping to run class meetings and reporting to the whole school SRC meetings. Here they are with their badges on! 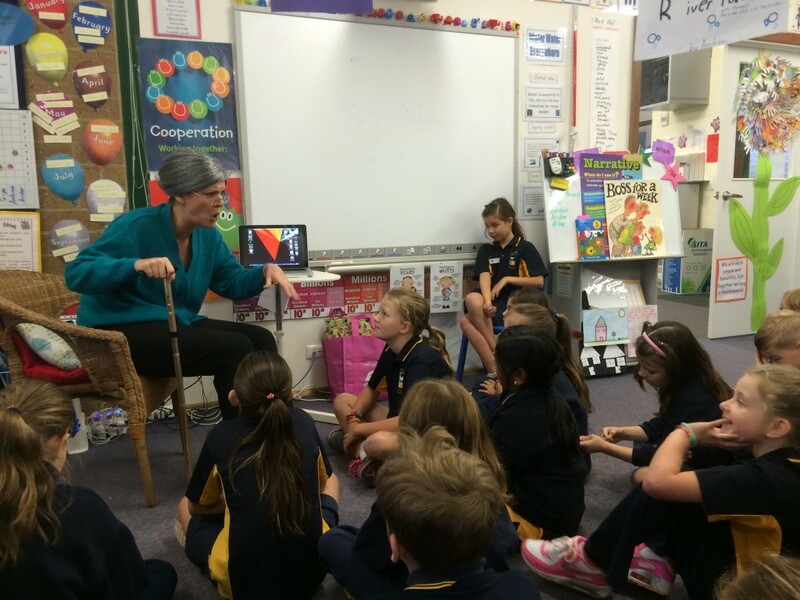 As a part of our learning we constantly use digital devices (iPods, iPads and computers) as a part of our learning. 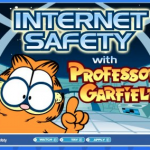 It is vitally important that we use these devices and the Internet in a safe way and make sure we are safe. 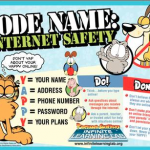 Our class always talks about only using first name online, not telling people our plans and using our class blog to report about our class learning and activities. 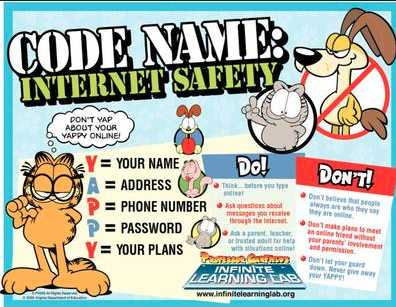 Can you tell us different ways that you work safely online?